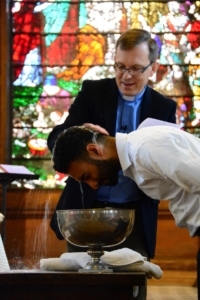 Christening – which the Bible calls ‘baptism’ – is a very important symbol of commitment to following Jesus Christ. There is also a ceremony called ‘Thanksgiving for the Gift of a Child’ if you want to celebrate the birth of a child but aren’t sure whether you’re ready to commit to the baptism declarations. If you’re not already a member of St Anne’s, the best first step is to come along to a Sunday service and speak to Richard our Rector. Click here for some helpful guidance. 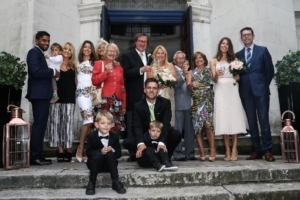 This link tells you whether you’re able to get married at St Anne’s. To check whether you live in Limehouse parish, enter your postcode here. If you’re keen to marry at St Anne’s, but don’t have a ‘qualifying connection’ with the parish, you may be able to have a religious ceremony here, and legally register your marriage separately. Have a chat with the Rector. Why not think about having your reception at St Anne’s as well? To arrange for banns to be called at St Anne’s for a wedding at another church, please come along to any Sunday service and speak to the Rector. Click here for some helpful guidance about weddings. Please get in touch if you would like a funeral or thanksgiving service for a loved one to take place at St Anne’s, or if you would like our Rector to conduct a Christian funeral at the cemetery. Please note: our historic records (before the 1950s) are held at the London Metropolitan Archives.